When your commute to work is a walk down the garden, it is a delight when that garden has been thoughtfully designed! 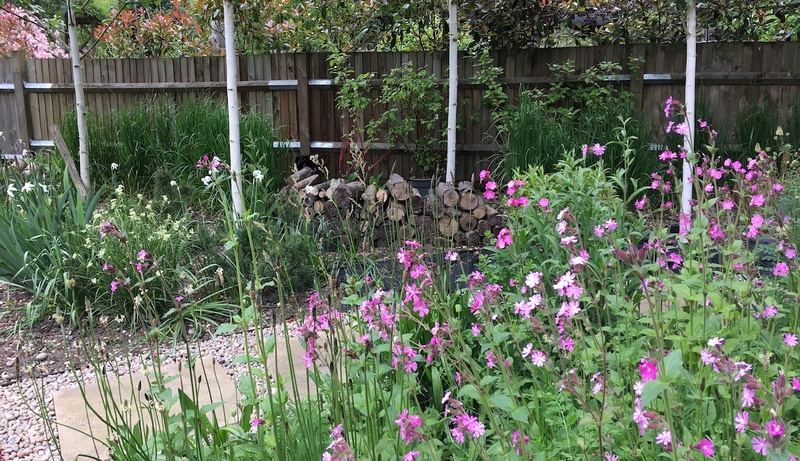 We are proud to present this beautifully laid out landscape surrounding our garden office in Barnet, Hertfordshire. 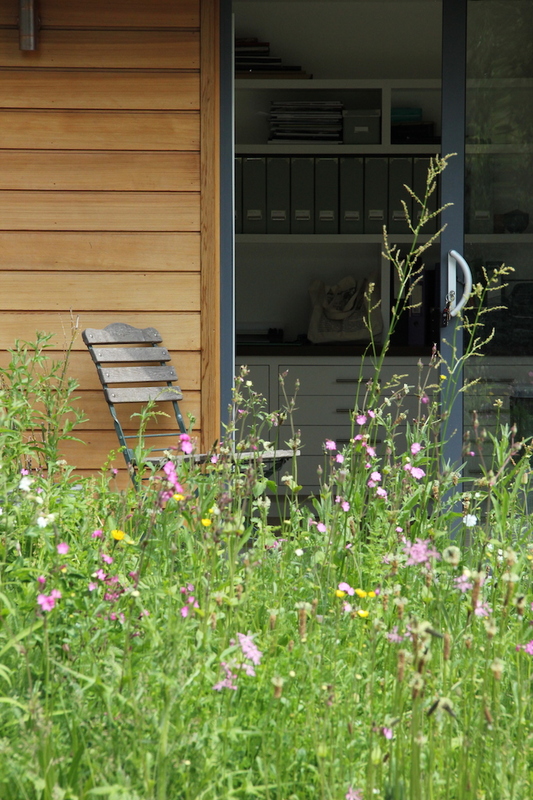 From the office we enjoy a great view of the changing seasons, evolving planting and thriving wildlife. 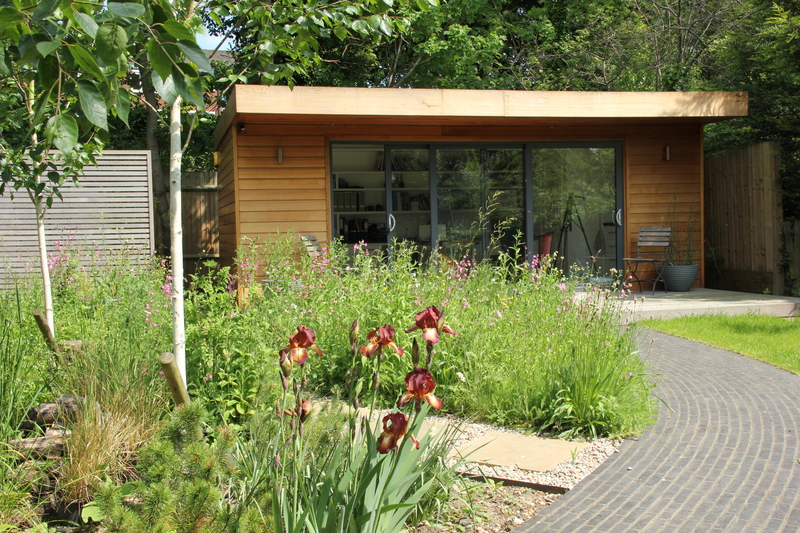 We have designed an informal landscape for this Garden Office, with a curving black Van de Moortal path. In contrast to the path, we have planted white stemmed Birch trees and to soften this, a wild flower meadow. We also have a lawn, a hardwood deck and gravel and paving slab stepping stone paths. We have separated the office garden from the main garden with a mature box hedge, currently being re-shaped into a caterpillar. 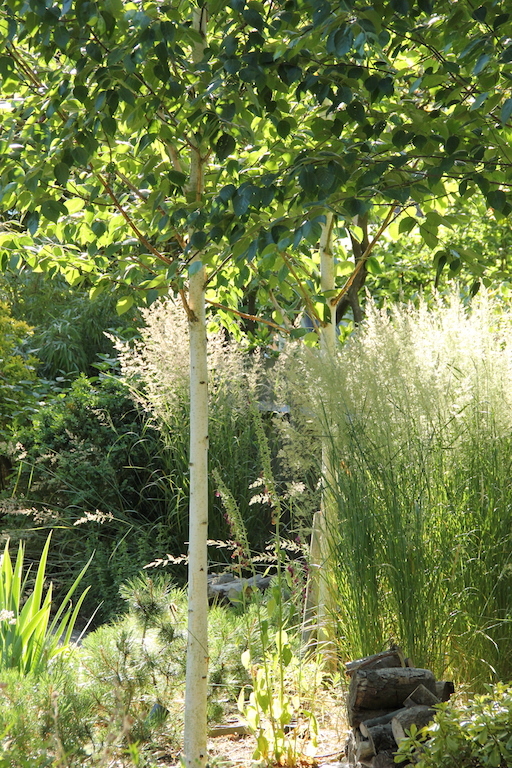 The Birch trees, box hedge and mature trees in the surrounding landscape, all contribute to the intimacy of the space and the tranquility of this garden. The overall effect is very conducive to productive and creative work output! The plants we have chosen provide spring and summer interest and autumn brings spectacular leaf colour from the specimen trees. During the winter, greenery and other foliage colours are provided by evergreen shrubs and perennials and the striking white stems of the Birch trees with red stemmed Dogwood behind. Construction by Lanwarne Landscapes Ltd.